It's Friday! That makes me very happy! After being out of town for 6 days this week, Mr. Oopsey Daisy comes home today. After battling the sickies, I have not been the best Mom this week. I am so looking forward to having our family together again! And having a little me-time will be nice, too! 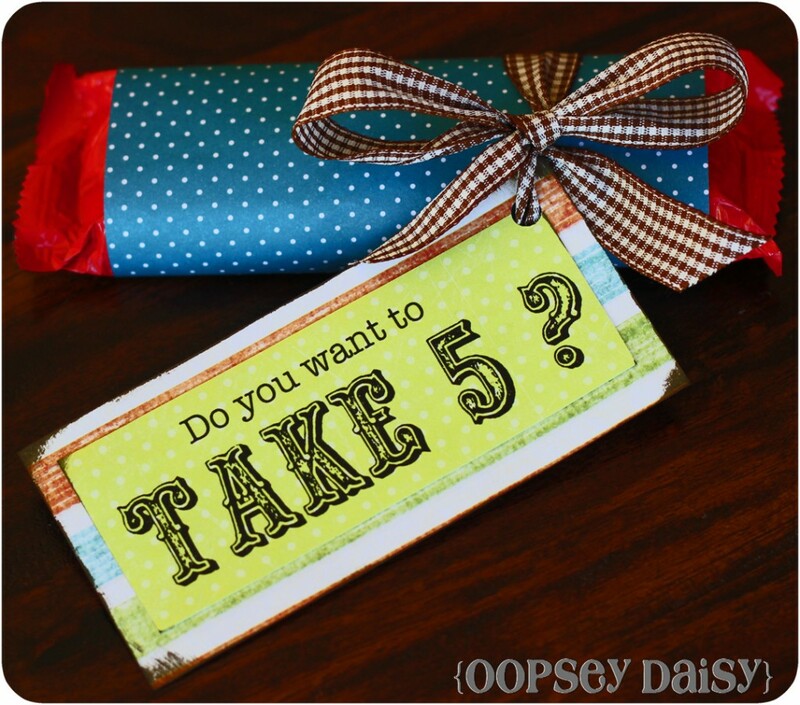 Are you ready for another easy peasy Valentine's Day idea? It's not often that I get to share my handsome hubby with the blogging world, so I am going to take full advantage right now! My sweet husband and I met while I was teaching first grade and he was doing real estate/going to school in Utah. Instead of asking me out, my husband hired me to do secretarial work for his business over the summer. I started "work" (if you can call it that!) on Monday, and we started dating on Friday! And I loved him so much, I even agreed to sit in a freezing cold lake at sunset in frigid temperatures for our engagement pictures! So we were married. Handsome hubby graduated and secured a job that brought us back to my home in Denver. Little Man joined our family, and we were thrilled! But here's our only problem: Handsome hubby travels a lot for work. That can be hard. Very hard. 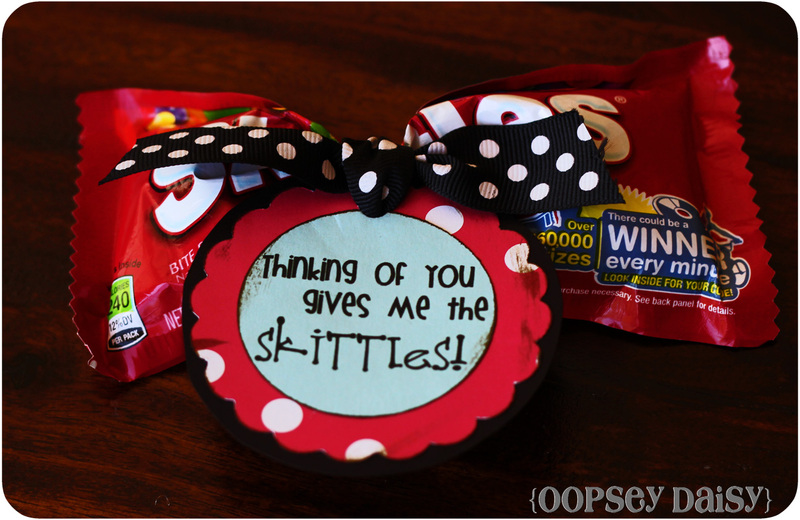 I am always looking for fun ways to let him know that I am thinking of him while he's away! I don't know who said that the way to a man's heart is through his stomach, but it seems to be pretty accurate in our marriage! Handsome hubby loves to eat! So I grabbed some of his favorite candy bars and made an arsenal of candy bar love notes! This way, I can grab one and stuff it in his suitcase for him to discover in a hotel later on. So here is how you can make your own! 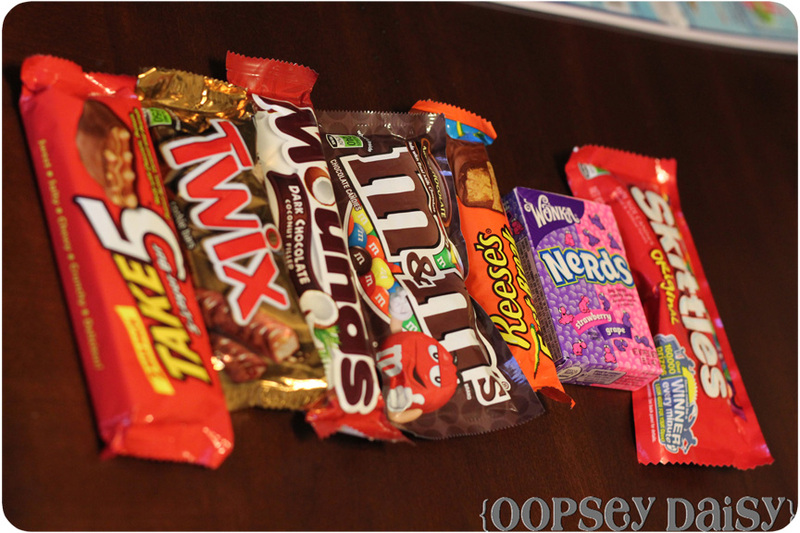 I started out by selecting several of his favorite candy bars at the grocery store. I created some tags in Photoshop. (Download will be available at the end of the post!). Some of the labels were created to fit a 2-inch circle punch (blue). Some were created just to be regular old tags (yellow). 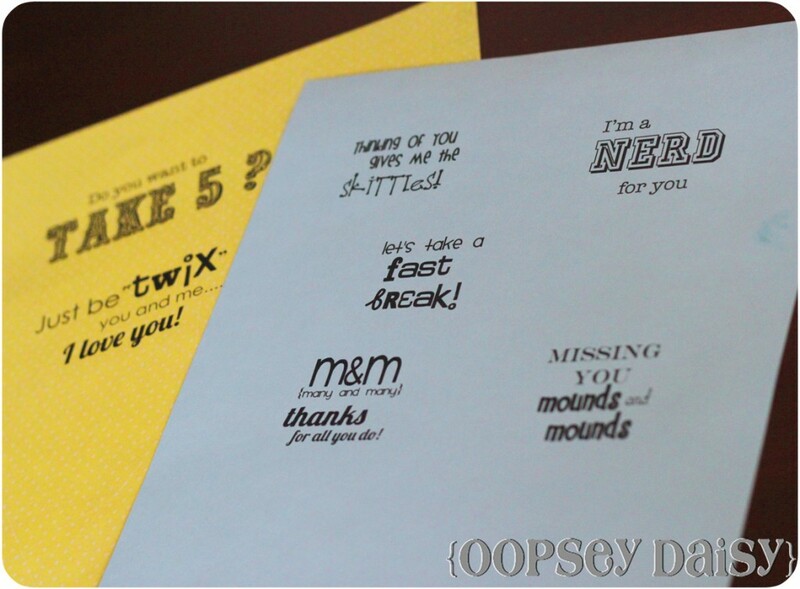 I printed them on scrapbook paper and colored cardstock. 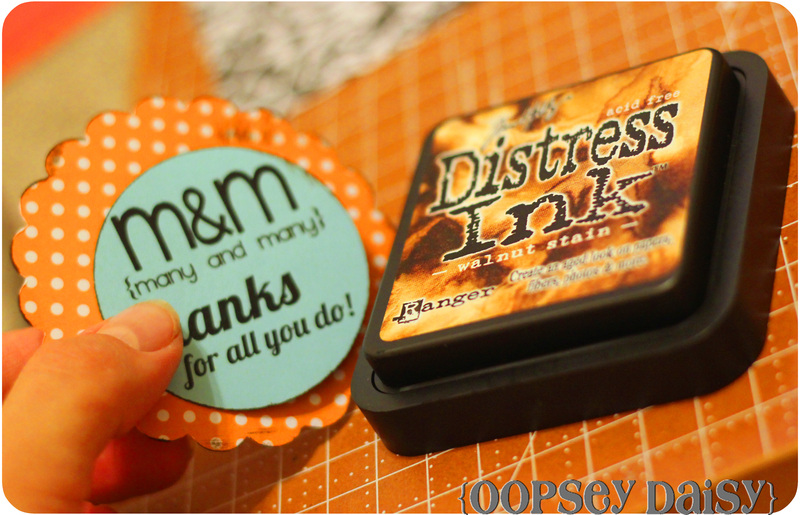 So I got to work with my circle punch! I mounted them and distressed them a bit. 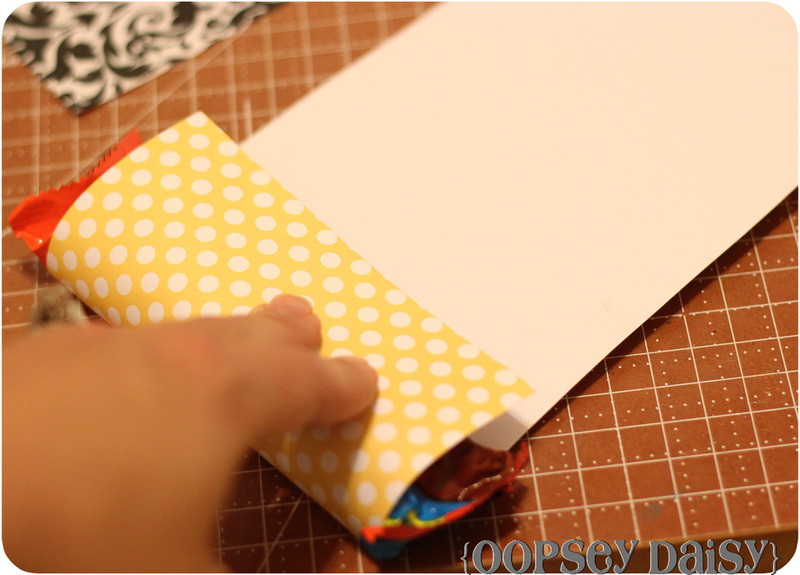 I wrapped the larger candy bars in scrapbook paper and glued them shut. Some of the notes are intended to be thoughtful. Some a little more fun. But now I have a bag-full of sweet nothings that I can use to show my husband how much I care! If you want to create your own, you can download the tags for the circle punch here and the larger tags here. And you know if I do something this thoughtful, I should definitely get flowers in return! Ha ha. 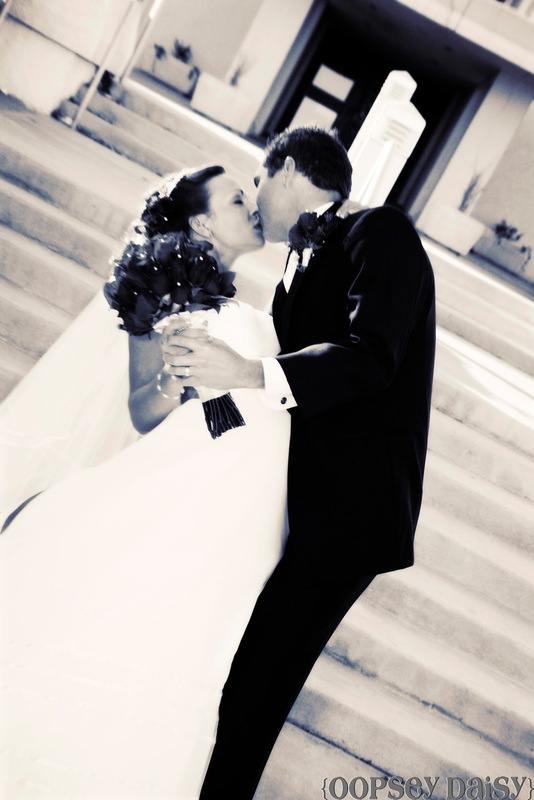 How do you celebrate Valentine's Day with your hubby? Love this idea! Thanks so much for sharing. 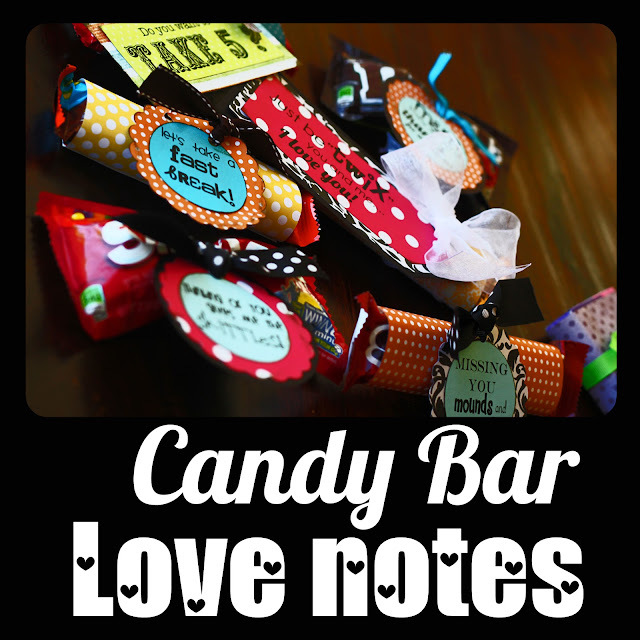 Adore all the different ribbons you used for each candy bar! 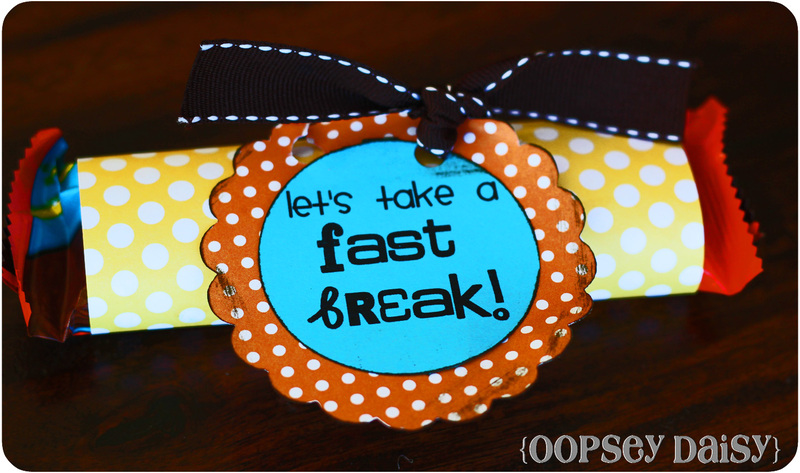 I am going to share your link with our Bowdabra Ribbons Crafts & Things Store Facebook followers. 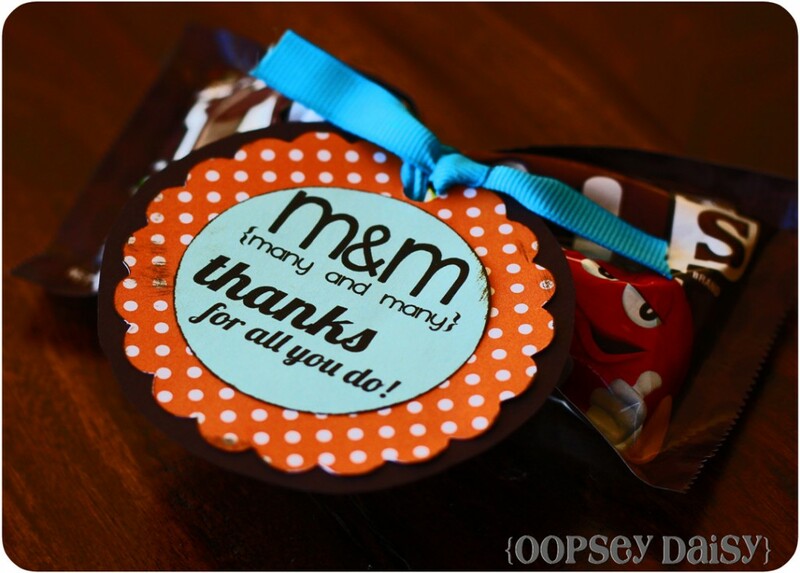 I think our readers will really enjoy your Valentine’s Day goodies for your hubby! 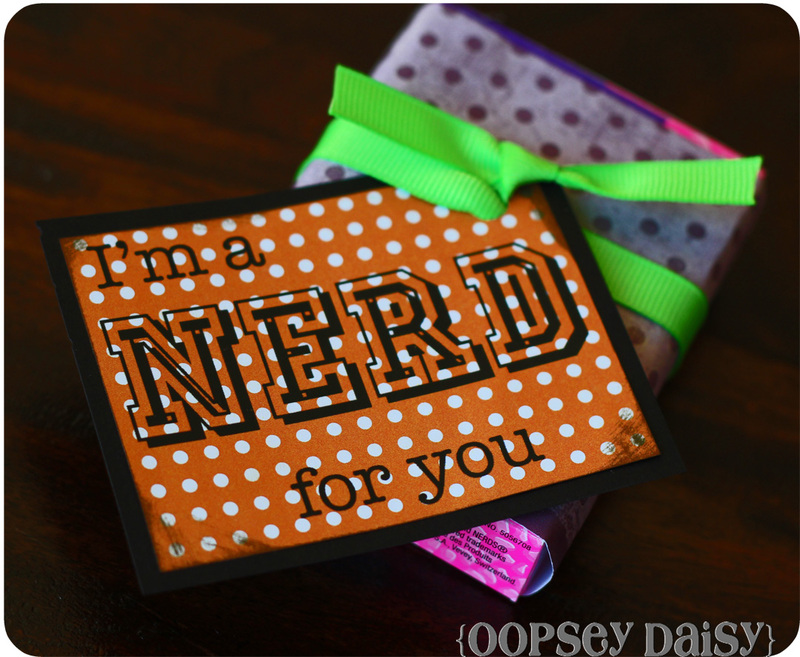 Am I missing it I can’t find the link for these printables. 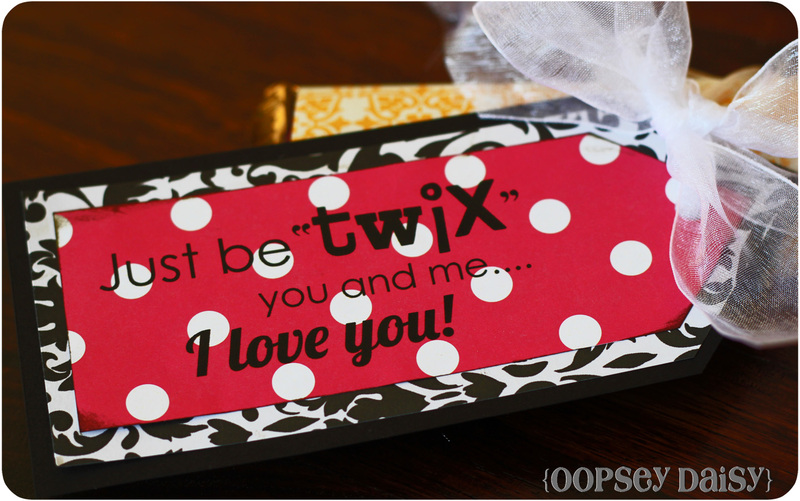 Love this idea and want to make and put them in my husband’s lunch box the week of Valentines but can’t seem to find your link to the sayings at the end of the post. Very Cute! I’m sure your husband loves your thoughtfulness. LOVE THIS!!!! So much fun. Thank you for sharing 🙂 You have the best ideas. 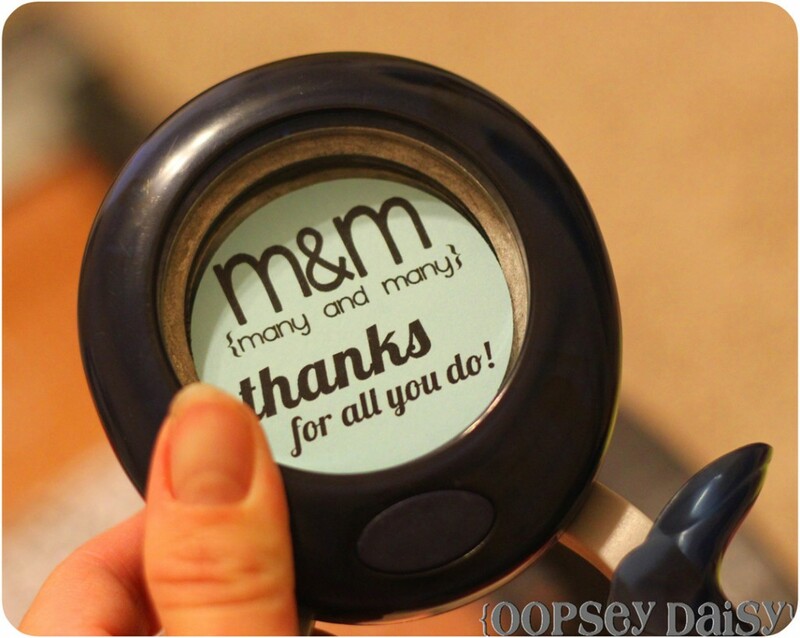 What a great, cute and inexpensive idea! Thanks!! Oh I love these so much!! Thank you for sharing the idea and the download! !